Ships from and sold by jackintheboxbooks. In "Whatever Happened to Penny Candy?" Richard Maybury uses historical events from Ancient Rome to explain economic principles. This clearly written book about economics is a remarkably easy and fun explanation of investment cycles, velocity, business cycles, recessions, inflation, the demand for money and more. Essential for every student, businessperson and investor. Recommended by the late William Simon, former U.S. Treasury Secretary. It is also on many recommended reading lists. "Whatever Happened to Penny Candy?" can be used for courses in Economics, Business, Finance, Government and Ancient Rome. 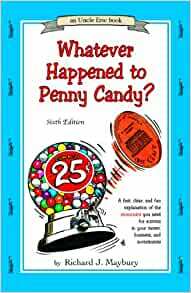 To improve the student's learning experience, also purchase the student study guide for "Whatever Happened to Penny Candy?" titled "A Bluestocking Guide: Economics" also available through Amazon. Table of Contents for "Whatever Happened to Penny Candy?" 11. How Much is a Trillion? 12. What's So Bad About the Federal Debt? "Economics: A Free Market Reader" contains articles by noted economists that expand on the concepts presented in "Penny Candy." Study questions/answers included. "Capitalism for Kids" explains the philosophy of entrepreneurship. Excellent information for both kids and adults. Includes a test to help kids determine if they have the personality to become an entrepreneur. "Common Sense Business for Kids" explains common sense strategies behind basic business principles. Gems of wisdom for the businessperson (young or experienced) conveyed through real-life stories and anecdotes. Though written with young people in mind, this book is engaging and beneficial for adults as well. "Whatever Happened to Justice?" explains the common law model. Maybury says, "In my opinion, you and your family and friends will avoid a lot of trouble, and find success of every kind easier to achieve, if you adopt these two models, Austrian economics and common law. 'Penny Candy' explains the Economic model. Now, read 'Justice' for the Legal model. Underlying common law are two basic rules: 1) do all that you agreed to do and 2) do not encroach on other persons or their property." Richard Maybury, also known as Uncle Eric, is a world renowned author, lecturer, and geopolitical analyst. He consults with business firms in the U.S. and Europe. Mr. Maybury is the former Global Affairs editor of "Moneyworld" and widely regarded as one of the finest free-market writers in America. Mr. Maybury's articles have appeared in "The Wall Street Journal", "USA Today", and other major publications. He has penned eleven books in the Uncle Eric series. His books have been endorsed by top business leaders, including former U.S. Treasury Secretary William Simon, and he has been interviewed on more than 250 radio and TV shows across America. 5.0 out of 5 starsThis should be the first Uncle Eric book that you and your teen reads. Essential reading for every teenager. This book should be required reading in every high school economics class. Of course it never will be. I learned more information that is actually applicable in the real world than I did in Micro and Macro Econ in college. I like the writing style. After reading this again recently, one could be faulted for thinking that inflation is no longer a concern. We will one day enter an inflationary cycle again, and when we do, this book can help your kids to be prepared mentally and financially. 5.0 out of 5 starsThis book is AMAZING! This book is amazing! It was a required reading for my children's homeschooling curriculum. It is so well written and they learned so much about economics. It is recommended for middle schoolers, but I read this to my 6th and 3rd grader and the 3rd grader was so interested in this material and understood most of it! I have been telling all my friend's about this book. Strongly recommend this book if you want to give your children (or yourself) a basic understanding of economics. Something EVERYONE should have! 5.0 out of 5 starsTruly incredible book! A sign of a genius is the ability to explain a "complex" subject in simple terms using basic language. This author is a genius. This book will change the entire way that you look at your day-to-day life as a participant in the American economy. You will actually laugh when you read the "Wall Street Journal" or listen to either a politician or "talking head" discussing the economy after reading this book. This book demonstrates that "The Emperor Has No Clothes". The only reason "The Man" makes economics complicated is to keep the masses from understanding what is being done to them. This book lives up to its reputation! It is a fantastic explanation of economic basics, clear and easy to read, entertaining and well written. I especially like how the material is presented systematically and in small, understandable chunks via letters from an economist uncle. I appreciate how the author gives historic examples of the principles discussed, and shows how the economy has influenced history. 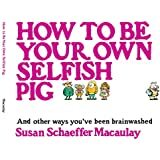 The adults in the house learned from this book, too! Watch a video of adults interviewed on the street on basic economics. They do not understand where money even comes from, let alone what function the Federal Reserve Serves. If you want your kids to have a concise, clear understanding of economics (which, our government would rather they not have), I would absolutely recommend this book over any other. Clear, good illustrations, synopsis of history of money and corruption (seems they go hand-in-hand, no?). 5.0 out of 5 starsThe very best book for understanding inflation and the boom/bust cycle. Fabulous book with the clearest explanation of the cause of inflation and the businesss cycle. These ideas can be hard to wrap your head around, but this book makes it so clear and simple. What is inflation? What causes booms and busts? What do people mean when they talk about "sound money"? All these questions are answered, with a clear writing style that an 8th-grader could easily understand. If you are looking to move past a CNN cartoon understanding of the economy, start here. To boot, the book is chock-full of extra stats, charts, references, etc, that make it a superb starting point to learn more. This book is outstanding. It explains money so clearly and how governments (the producers of money) over the centuries have treated it. He explains inflation and recession in terms that a novice as green as I am can easily understand. Since money is the ultimate fungible medium for everyone on the planet, understanding how it is influenced and controlled is essential for us all--children, workers, and retirees. We all count on money, so we should learn who affects its value and how that therefore affects us. Maybe it's just I who have been in the dark so long that I have found this book so enlightening that I would give it six stars on a scale of five (even though Amazon won't let me). But if I'm actually not that divorced from the mainstream, then I suspect others may find it as exciting as I did. This is a brilliant book for all ages. I got it to read to my 7 year old daughter, but I am learning just as much as she is. I love the real life examples in the books. For example, when the book talked about runaway inflation, it gave quite a few examples of items that have been affected by this type of inflation. This will be a book that we will read together many times over. I am excited to try other books in this series.